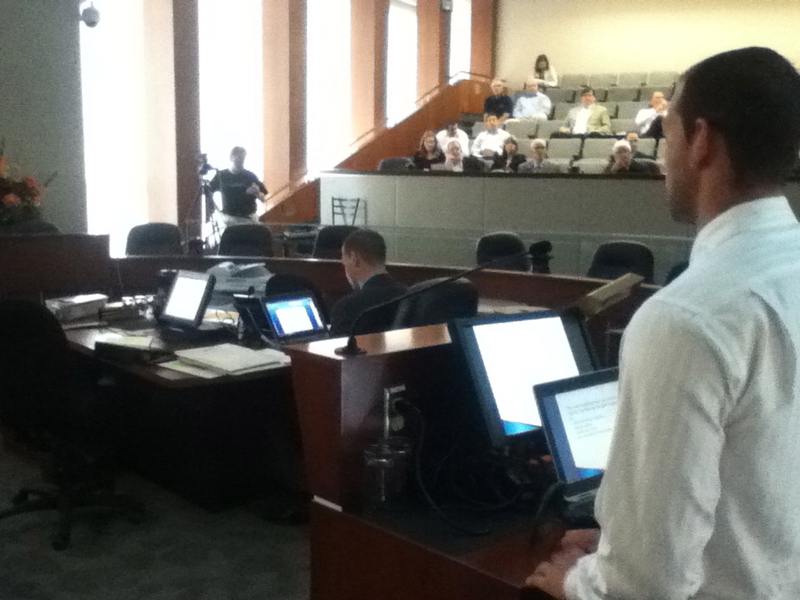 OPIRG McMaster's summer student Jonathan Valencia volunteered to present to the Public Works Committee at City Hall this morning about our pilot project in the Keith Neighbourhood. It was easy to impress them with our project: in an area with an identified air quality problem that would normally get three street tree requests a year, by going door to door Jonathan was able to get 75 requests! While not every property meets the minimum space requirement, still, 53 trees will be planted this fall. Not only will the neighbourhood look better, but air quality will be improved, along with other tree-positive benefits such as cooling shade, water retention, and soil protection. OPIRG McMaster plans to continue and expand the project next summer, so that more neighbourhoods can benefit from the street tree program offered by the city. OPIRG students making the world a better place one street at a time! 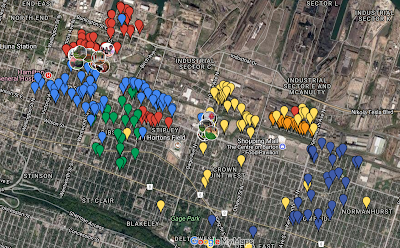 The latest street tree requests for our project have been added to our Google map, illustrating five summers of work to get more trees where there are most needed in the city. Thank you to everyone who contributed, and especially to our summer student project lead Chelsea Lowes who worked hard to get 30 more trees for the Homeside neighbourhood! Remember, you can get a free tree for your front yard from the city of Hamilton's excellent Stree Tree Planting Program. Here's a link to their webpage: https://www.hamilton.ca/home-property-and-development/property-gardens-trees/street-tree-planting-program if you want to make a request directly to them. Let's keep filling in our neighbourhoods with trees until everyone has equal access to the benefits of our air-cleaning, cooling, shade-producing, beauty-providing leafy friends. Technology never ceases to amaze us here at The Street Trees Project. 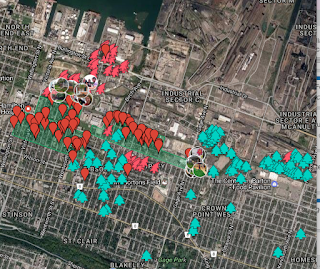 Just in case anyone is curious about what a more visual representation of our work looks like, here is a map depicting the rough amount of trees that were requested over the last 4 years. That is almost 250 trees requested in the Keith, Crown Point, Gibson, Landsdale, and Stipley neighbourhoods alone. We are excited to see what is in store for us this year, as we work with the Homeside community towards a greener Hamilton. Check it out! 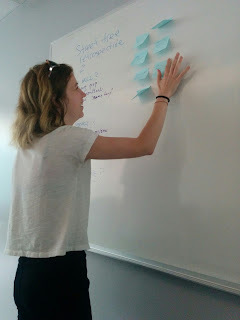 We have been trying out all sorts of new brainstorming and management techniques here at the Street Trees Project! Some come and some go, however one that sticks is our bi-weekly retrospective meetings to discuss our progress thus far, and what improvements we can make moving forward. This week we TREEflected on our meetings with city representatives and our involvement in the social community we have become a part of. This led us to brainstorm ideas on future, informational contributions to make. Without giving too many of the details away, here's a sneak peak of what we have up our s-leaves.